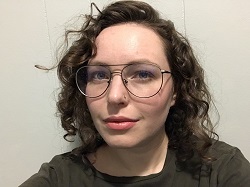 Brenna English-Loeb has joined Transatlantic Agency as assistant agent. English-Loeb will be working closely with agency president Samantha Haywood, as well as Amy Tompkins and other agents with whom she will be coagenting new author clients of both adult fiction, nonfiction and YA. Based in New York, English-Loeb began her publishing career as an intern with Writers House, before working for several years at Janklow & Nesbit Associates. Transatlantic Agency is a North American, full-service literary agency covering domestic and international rights, film/tv and content development and covering the spectrum of commercial to literary fiction and nonfiction of all types. Transatlantic has 16 agents located across North America, with US agents in New York, Boston, and Portland, and Canadian agents in Toronto, Vancouver and Nova Scotia. Haywood said: "I am absolutely delighted to have Brenna join the agency as we continue to grow and develop our adult and YA list of exciting American author clients." English-Loeb said: "After four great years at Janklow & Nesbit, I'm so excited to join Transatlantic where I'll be taking on new challenges and growing my list with the help and expertise of Samantha Haywood and her innovative team. The collaborative, forward-thinking mindset at Transatlantic is the ideal setting for any agent, and I'm thrilled to be a part of it as I work to support and promote my clients."